With the interest rates being as low as they’ve been for decades, you may feel what’s the point in bothering with a savings account. Rates were as low as 1%, meaning from $10,000 in a savings account you’ll receive a poor $100 in return for tying up your money. Wouldn’t you be interested in boosting this rate, by any means possible? With the recession being the way it is banks aren’t really able to offer the kinds of interest rates that they used to. This is unlikely to change anytime soon. You can understand their ploy – they’re trying to encourage people to spend there money, in a bid to help resuscitate the economy. After all no-one’s going to be making any money if everyone wants to sit on theirs and are afraid to open their wallet. With such a low interest rate you’re expected to spend your money as fast as you’ve earned it, but there is another way. You may or may not have heard of the idea of credit card stoozing. This isn’t really a new idea, its been done since the invention of credit cards which offered 0% interest on purchases. The idea is pretty neat. You get yourself a credit card which offers a 0% interest rate on purchases for a year or so, and a zero percentage rate on balance transfers. You use this credit card for all of your spending – the money which you’d usually have spent from your savings account. The money that you would have spent from your savings account is moved to a bank account with the highest interest rate available. Take a look around and see what the best banking deals are. So in effect what you are doing is building a negative balance by using the credit card, and this negative money is actually still yours – and you’re gaining interest on it in the bank. 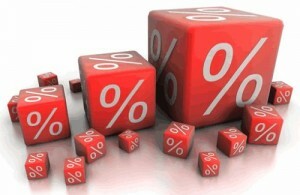 When the 0% on purchases honeymoon has ended, simply look for another credit card offering the same deal. It needs to offer 0% on purchases and 0% on balance transfers. You can then shift your debt, or credit balance, over to your new credit card – and continue the process. Money that would have been spent from your savings account will find itself earning interest in its own account, so you will actually be receiving interest on money that shouldn’t still be in your hands. This is not for everyone, so you have been warned! You need to be careful with your finances, and keep your eye on the ball at all times. Make sure you’re happy to be in negative balance for a while. You don’t need to worry about this damaging your credit rating – as log as you manage it and don’t incur any payments then this will actually improve and build your rating (it shows you can use a credit card and deal with paying them off too). Credit card stoozing won’t make you rich, but it will enable you to get a return on money which would have otherwise been spent.